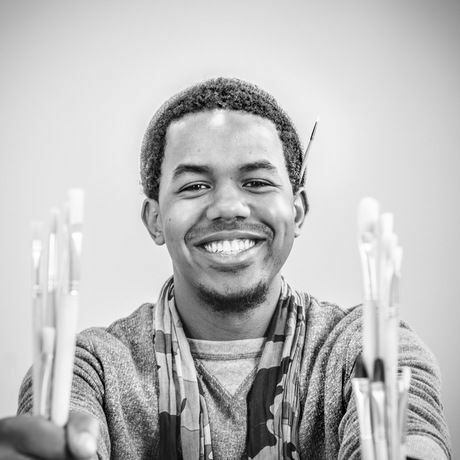 Brandon Christopher is a Detroit-based creator and owner of CANVASxDetroit, an arts engagement platform dedicated to arts engagement, arts exposure, & art-based solutions. A former pro-business lobbyist, Brandon hung up his wingtips and suits in exchange for paint and brushes to spread the idea that art lies within the heart of every person! After graduating from Detroit’s BUILD Entrepreneurship Institute in 2013, Brandon launched CANVASxDetroit opening his first location on Woodward Avenue in downtown Detroit. In 2016, Brandon co-founded MASH Detroit, a mixed-use community engagement space near the Detroit/Grosse Point border and moved CANVASxDetroit to its current eastside location. Brandon is excited to grow CANVASxDetroit by expanding their creative offerings beyond the visual arts to include entertainment, technology, and art-solutions consulting. Huge is a global experience agency providing digital transformation and marketing services to the world’s largest businesses and best-known brands. Huge Oakland is located in the historic Tribune Tower and has worked with notable local companies such as Google, UCSF and Zelle. A punk-inspired, unapologetically independent digital agency. Builder of radical futures. Helping the good guys get it done. Our mission is to source, roast and serve the best coffee with uncompromised quality. It means more than craft and passion. We never stop challenging ourselves to produce coffee that is distinct, while constantly seeking improvement in all that we do. We start with the best small-lot coffees of the season and roast them to fully develop complexity while preserving the delicate intrinsic characteristics of the fruit. We then test each batch for quality using both traditional skills and contemporary tools.